The e.m.f. induced in each coil of armature is alternating in nature. If load is connected, the current flowing will also be alternating. But the flow of current in a d.c. generator must be undirectional. This can be achieved by the use of commutator. When the armature conductors are under the influence of one pole they carry current in one direction whereas the current is reversed when the conductors are under the influence of other pole. This reversal of current takes place along the magnetic neutral axis. Note : The reversal of current is likely to take place in short interval when a coil is short circuited by a brush so that transfer of current from one direction to other is carried out without any sparking. This process is called commutation. Thus a process by which current in the short circuited coil is reversed while it crosses the MNA is called commutation. The time during which the coil remains short circuited is known as commutation period. This period is generally of the order of 0.0005 to 0.002 sec. The commutation is said to be ideal when current changes fro +I to zero and zero to -I within the commutation period. 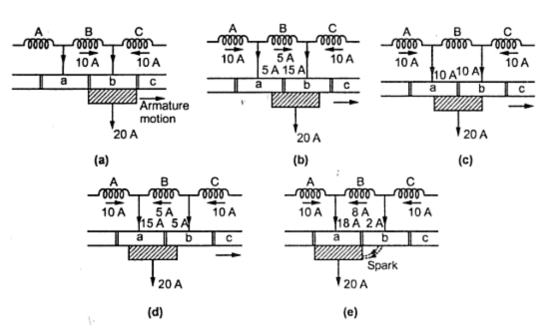 The sparking is produced between the commutator and brush if current is not reversed by that time. This will lead to damage of commutator as well as brush. Hence for satisfactory operation of d.c. machine proper commutation is required i.e. 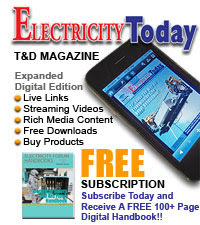 transfer of current must be without sparking and losses and heating of brushes and the commutator. Now we will see the process of commutation in detail with the help of the figures. Let us assume that the armature winding is ring type and the width of brush is equal to the width of one commutator segment and one mica insulation. In this case only one coil is short circuited at a time at each of these brushes whereas in actual practice width of brush is more than that of commutator so that more than two coils are simultaneously short circuited at each brush. As shown in the Fig. 2(a), coil B is about to be short circuited. The brush is about to come in contact with commutator segment 'a'. Suppose that each coil is carrying current of 10 A so that total brush current is 20 A as every coil meeting at the brush supplies half the brush current independently of lap or wave wound armature. Before coil B is short circuited, it is belonging to the group of coils lying left of the brush. It is carrying current 10 A from left to right. As seen from the Fig. 2(b), coil B is entering short circuit period. The current in coil B has reduced from 10 A to 5 A as the other 5 A flows via segment 'a'. The total current is remaining same at 20 A. But area of contact of the brush is more with segment 'b' than with segment 'a'. Hence current of 15 A is from segment 'b' whereas 5 A from segment 'a'. The coil B is in the middle of its short circuit period as shown in the Fig. 2(c). The current in coil B is reduced to zero. The current 10 A and 10 A pass to the brush directly from coils A and C. The total current is again20 A and the contact area of brush with the segments 'a' and 'b' are equal. As shown in the Fig. 2(d), the coil B is now under group of coils to the right of brush. The contact area of brush with segment 'b' is decreasing whereas with segment 'a' is increasing. Coil B is now carrying 5 A in other direction. Thus current of 15 A is passed via. segment 'a' to the brush while the other 5 A is supplied by coil C and passes from segment 'b' to brush. Again the total current is 20 A. If case of ideal commutation is assumed then current through coil B will reverse at the end of commutation or short circuit period. But as shown in Fig. 2(e) current flowing through coil B is only 8 A instead of 10 A. So the difference in coil currents i.e. 10 - 8 = 2 A jumps directly from segment 'b' to the brush through air and produces spark. The variation in current during the process of commutation can be plotted with respect to time as shown in the Fig. 3. The current in the coil B is 10 A till commutation begins represented by horizontal line AB. After finishing commutation the current is again 10 A but in reverse direction represented by horizontal line CD. Thus current changes from +10 A to 0 and then to -10 A. The way in which this current changes is important. 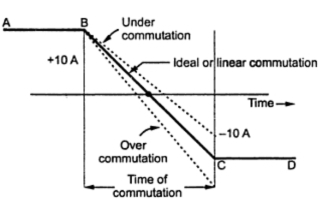 If current varies uniformly represented by straight line BC the commutation is said to be linear commutation. But it is observed that the self induced e.m.f. in the coil will try to maintain the current in the same direction and will cause delay for commutation. The commutation in this case is said to be retarded or under commutation. This is shown by the dotted part in the Fig. 3. If reversal of current in the coil is faster than ideal or linear commutation then also sparking may occur. The commutation in this case is said to be over commutation or accelerated commutation. Thus it can be seen that if reversal of current is retarded or accelerated then value of current in the short circuited coil after the commutation period is over is different than that when linear commutation occurs. This will cause sparking at the brushes. This will lead to excessive wear and tear of commutator and ultimately lead to burning of commutator. Hence it is desired that the commutation must be as sparkless as possible. Now let us see that why there is delayed or accelerated commutation. The main reason for non-linear commutation is the production of self induced e.m.f. in the coil undergoing commutation as the coil has significant amount of self inductance because it is embedded in the armature which is made up of high permeability material. This self induced e.m.f. though small in magnitude produces a large current through the coil whose resistance is small due to short circuit. The e.m.f. induced in the coil undergoing commutation can be calculated as follows. The period of commutation is nothing but the time required by commutator to move a distance equal to circumferential thickness of the brush minus the thickness of one insulation plate. This self induced e.m.f. will oppose the change of direction of current. As stated earlier this will cause sparking at the brushes since current in the short circuited coil does not reach to its full value in the reversed direction by the end of commutation. Thus to avoid sparking and short circuit of whole machine due to arc producing around the commutator, commutation must be made sparkless by using some methods. A 4 pole lap wound armature running at 1800 r.p.m. 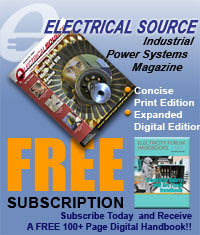 delivers a current of 150 A and has 64 commutator segments. The brush spans 1.2 segments and inductance of each armature coil is 0.06 mH. ii) Sinusoidal commutation. Neglect mica thickness. There are total 64 segments on the entire periphery. It is necessary to calculate the peripheral speed in segments / second as Wb is given in segments. Now the commutator speed is 1800 r.p.m. i.e. Note : If Wb is given in cm and commutator diameter Dc is given in cm then v is to be calculatedin cm/second as given below.